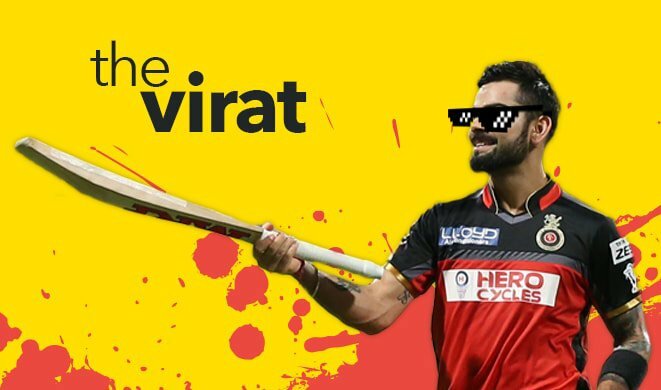 Fascinating Facts about Virat Kohli that You Probably Don’t Know. . . The power game changer of the Indian team. Right Technique, style, looks, attitude, aggression, in combination with muscles have made the cricketer Virat Kohli, one of the important and the reliable batsman in the line-up of Indian cricket team in batting. For celebrating his 26th birthday, we would like to highlight about a few of the incredible facts about Kohli, which prove him a legend. In the year 2006, when Virat debuted the Ranji season, he decided for playing against the match in opposition to Karnataka, despite the death of his father on the same day. Kohli stepped ahead and scored crucial 90 runs for his Ranji team. Virat Kohli was one among the 8 cricketers, who succeeded to score 20 ODI centuries. Moreover, as he is only about 26 years and he continues to play in Indian cricket, he has chances to score more centuries in the ODIs. Virat Kohli is the fastest cricketer, who succeeded to hit 20 ODI centuries. In fact, in only 133 innings, Virat achieved to make 20 centuries in ODIs. Virat Kohli is known in the cricket’s dressing room with his pet name as Chiku. After Sourav Ganguly, Mahindra Singh Dhoni and Sachin Tendulkar, Virat Kohli is the fourth best cricketer, who succeeded to score more than 1000 runs even for three different consecutive calendar years of the ODI cricket tournament. Kohli has gained recognition as the fastest cricketer of Indian cricket team to approach 1000, 4000 and even 5000 ODI runs. In addition, he also gained the name as the fastest international cricketer to make 5000 ODI runs and thereby, shared the excellent record of Vivian Richards. Even he requires only 99 runs more to reach at 6000 ODI runs to break the record of Richards. In the year 2012, Virat Kohli has successfully obtained his name in the list containing top 10 well-dressed men at international level. Virat Kohli has always played as a true born leader. One can get the justification about this statement from his contribution, which results in the victory of the Indian cricket team in the Under-19 World Cup of 2008 conducted in Malaysia. Virat Kohli is one of the few cricket players of India, who has a designer tattoo of Golden Dragon on the forearm that indicates good luck.